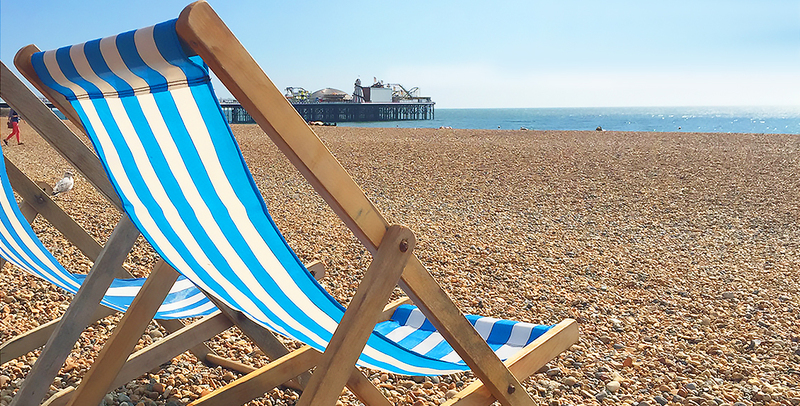 Brighton, Brighton, Brighton. Where to start? 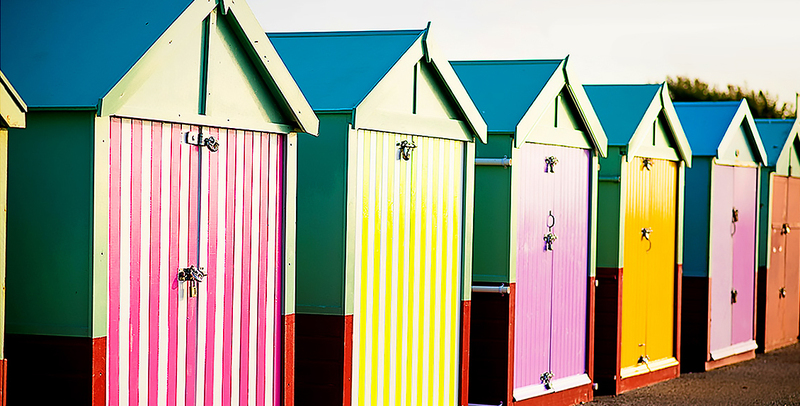 This is the most vibrant seaside resort in England and a high point in any visit to the region. In summer its pebbled shoreline throngs with sunbathers and beachside bars fizzle with energy and music. A multitude of trendy restaurants, slick boutique hotels and shops catering to every taste jam the streets leading back from the sea. The city’s nightlife is legendary and more concentrated than its rivals in London and Manchester. Family fun, high-brow culture, an exuberant gay population and cutting-edge club scene all mingle into one good-time getaway not to miss. 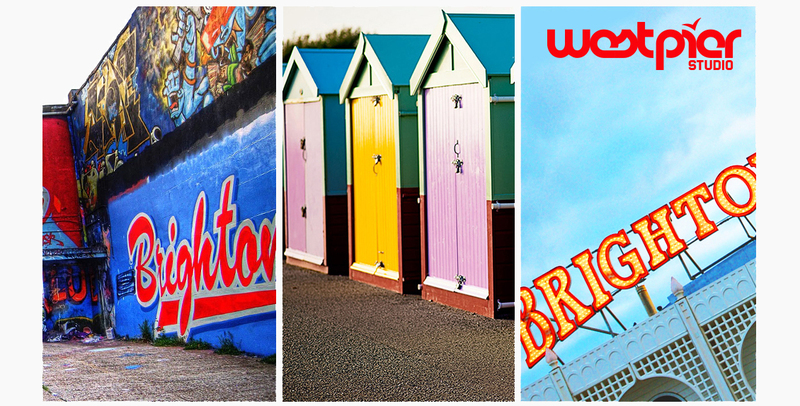 Don’t listen to the folk that call Brighton little London-on-the-Sea. However cosmopolitan it has become, this is a place with a character and quirkiness all its own. It has embraced the outlandish ever since the Prince Regent built his party palace here in the 19th century. And these days anyone can join in the fun. Celebrities rub shoulders with dreadlocked hippies, drag queens party next to designer-clad urbanites, couples stroll past fishermen and kids toddle around the tables of coffee-quaffing media types. It’s a city with a devil-may-care attitude: from its edgy cool underbelly to its hedonistic highs, its chic gloss to its seedy Soho glam, its candy floss frolics to its Bohemian detachment. Mix all its flavours together to get one heady cocktail, and a place for everyone in the shaker. West Pier Studio is a developer of engaging slots / casino games for one of the world’s largest and entertaining online gaming companies. Founded by a team of experienced games developers, West Pier partnered with Gamesys and its portfolio of the most recognized ventures in the industry, including Jackpotjoy, Virgin Games, Virgin Casino and Monopoly Casino. This is a fantastic opportunity to join a growing company on global titles, so if you’re sharp-minded and passionate about making great games, please get in touch. We’re looking for an experienced and talented Slot Designer to work on our slots and casino games, where you will design and help deliver fun, innovative, and competitive products. • Design fun, innovative and competitive products. This is a freelance contract role based in our Brighton office, contracts range from 6 – 12 months, permanent positions are also available to the right candidates. 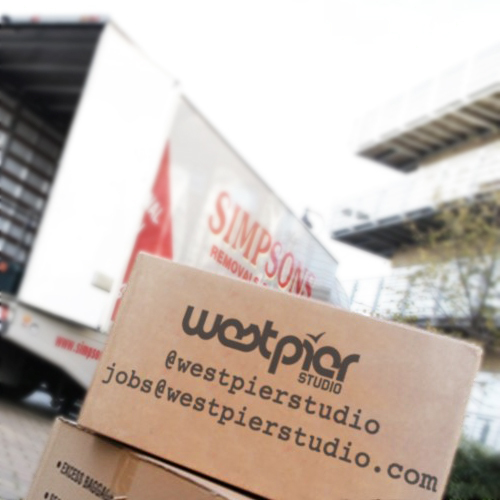 Working with one of the world’s leading casinos, West Pier Studio has developed a portfolio of exciting and highly successful games, enjoyed by millions of players around the world. We are looking for a 2D Artist / Illustrator to join our Slots and Casino team. Working on our latest games, you will collaborate daily with other artists and developers and be responsible for creating a wide variety of digital artwork, ranging from environment and character art, logos and UI elements from concept to final implementation. This is an excellent position for an experienced or aspiring 2D Artist. The role is ideally suited to a freelancer prepared to work within our office. Full-time / permanent position may also be available to the right candidate. • All round excellence in design and digital illustration. • An ability to generate quick concepts and realize ideas. • Eye for composition and colour. • Possess a stunning and up to date portfolio. • Examples of self-initiated projects. • Games UI experience and game logo creation. We are looking for a Graphic Designer / User Interface Designer (UI) to join our Slots and Casino team. Working on our latest games, you will be responsible for the graphical and user interface designs, logos and UI elements from concept to final implementation. This is an excellent position for an experienced or aspiring Graphic Designer / UI Artist. The role is ideally suited to either a Freelancer prepared to work within our office or someone looking for a Full-time / permanent position. • All round excellence in Graphic Design. We are looking for a 2D Animator / Motion Graphics Artist to join our Slots and Casino team. Working on our latest games, you will collaborate daily with other artists and developers and be responsible for creating a wide variety of 2D Animations, Character Animations and Motion Graphics from concept to final implementation. This is an excellent position for an experienced or aspiring Animator / Artist. The role is ideally suited to a freelancer prepared to work within our office, full-time / permanent position may also be available to the right candidate. • Industry experience in cross platform game development. We also value good initiative and the ability to work hard under pressure in a dynamic multi-disciplined team environment. This is an excellent position for an experienced or aspiring game developer. We are looking for a server side game developer with Java experience to join our Slots and Casino team. Working on a brand new Remote Gaming System, you will collaborate daily with our front end developers and be responsible for creating server side code for our fun and beautiful games. We are looking for experienced C# Developers with Unity 3D to work on a variety of projects in an Agile development environment. We are looking for experienced C# Developers with Unity 3D to work on a variety of projects in an Agile development environment. The roles will likely entail working in various areas of the projects, including UI, 2D and 3D tools and rendering code. We also integrate tightly with back-end services, therefore experience of working with PHP, ASP .NET and .NET services and databases is also beneficial. The ideal candidate will have strong C# knowledge and experience, a good working knowledge of Unity 3D, experience with version control systems and a good understanding of 3D graphics and vector maths. A good understanding of software architecture and design is also a must. This is a full-time contract role based in our Brighton office, contracts range from 6 – 12 months, permanent positions are also available to the right candidates. West Pier Studio is a developer of engaging slots / casino games for one of the world’s largest and entertaining online gaming companies. Founded by a team of experienced games developers, West Pier partnered with Gamesys and its portfolio of the most recognized ventures in the industry, including Jackpotjoy, Virgin Games, Virgin Casino, Monopoly Casino, Sun Bingo, Botemania, Starspins, Tropicana Atlantic City, Caesers, Fabulous Bingo and Heart Bingo. We’re looking for an experienced Slots Mathematician to work on our slot / casino game math, where you will be expected to drive the game math and feature strategy on emerging game models and mechanics. This is a freelance contract role based either remotely or in our Brighton office, contracts range from 6 – 12 months, permanent positions are also available to the right candidates. From lead positions through to graduate level we are looking to fill a number of broad reaching roles. We are currently engaged with a number of partners with our work ranging from Native Mobile development, Unity 3D and HTML5. The successful candidate will join an experienced development team and will gain industry-leading experience on various emerging platforms. Whilst we do not expect experience in all of the skills listed below, this is representative of the requirements of our active and upcoming projects. We are looking for an aspiring or Senior QA Engineer to join our in-house Slots & Casino team. This is an excellent position for an aspiring or Senior QA engineer who has a love of gaming and creating a fantastic experience for players. Maintaining our portfolio of slots and casino games across different websites you will collaborate daily with developers and product owners within a cross-functional agile team to deliver new features and improvements, helping to achieve a high quality product that offers one of the best player experiences in the market. • Ensure each release delivers quality to the customer, whilst meeting business requirements. • Run regression test suites against features for front end and back end stories. • Liaise and coordinate with external testers. • Make sure that API documentation and tests are consistent. • Maintain, update and edit test suites in our test case management tool. • Keep track of bug statistics, such as number of open bugs, closed bugs and trends. • Collaborate with other key stakeholders for the feature you are working on e.g. Product Managers, Technical Architects and Designers. • Work with developers and POs to ensure that automated tests written provide sensible coverage. • Proficient at writing, executing and maintaining test cases. • Demonstrable knowledge of browser developer tools. • Both Desktop and Mobile Testing experience. • Team collaboration using agile methodologies. • Experience with test case management tools, such as TestRail. • Have the ability to come up with test strategies to catch visual and auditory bugs. • Able to perform efficient and productive exploratory testing. • Good experience on Integration and End to End server side/database testing using API/SQL. • Familiarity with slots and gambling mechanics. • Manual and automated testing of both front and back end features. • Experience with agile project management tools such as JIRA. • Continuous delivery tools like GoCD. • ISTQB certification in Software Testing, or proven experience of a problem solving approach to the testing process. • Passionate about games and delivering a fun and frustration free experience. • A dependable person, who delivers consistent quality. • A lateral thinker, who can solve problems using creative reasoning. • You will collaborate well within a team environment and develop relationships with the other teams and stakeholders in your area. • Proactively seek out areas of inefficiency within the scope of the role, taking action to make continuous improvements. • A curious person who learns and improves their professional skills. We are looking for a super talented User Interface Designer (UI) with a solid understanding of User Experience (UX) to help us design and develop fantastically brilliant multi-platform games for one of the world’s leading casinos.